A fresco by Hervé Di Rosa in France’s National Assembly commemorating the abolition of slavery is the subject of a petition demanding its removal 28 years after it was installed. The artist has angrily branded this demand as “censorship”. Depicting two figures with black faces, bulging blue eyes, curly hair and oversized, bright red lips, the fresco is part of a series of murals by Di Rosa relating to French history. For the past few days, it has sparked a fierce debate. The petition was launched by Mame-Fatou Niang, an associate professor of French Studies at Carnegie Mellon University Pittsburgh, and the French writer Julien Suaudeau. 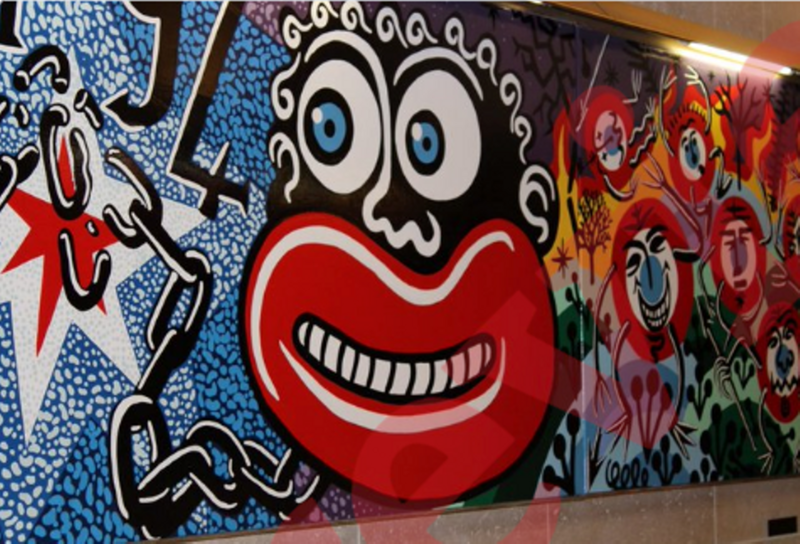 The idea came after Niang received a tweet from a French schoolgirl of African origin who was “embarrassed, pained and angry” after seeing the fresco during a school visit to the National Assembly. So far, the petition has received nearly 2,500 signatures on Change.org. Di Rosa's work draws on Pop art and bande dessinée (comics) and he describes some of his paintings as theatrical and grotesque. In 1979, heco-founded the Figuration Libre (Free Figuration) movement with fellow French artist Ben. Then in 2000 he founded the Musée International des Arts Modestes (MIAM) in Sète, south of France, to exhibit international artists and question the borders of contemporary art. MIAM is currently showing an exhibition, 'Kinshasa Chronique', featuring 70 artists from the capital of the Democratic Republic of Congo.